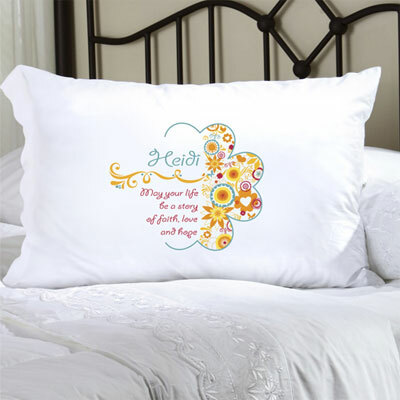 Bring a little sunshine to their day with our Personalized Sunny Flowers Pillow Case. The inspirational message, highlighted by vibrant colors, will remind them to always have faith, love and hope. Suitable for children, teens, and adults, this luxurious poly sateen pillow case will match any decor. 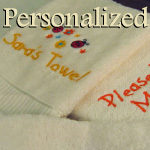 Personalize with one line of text of up to 20 characters. NOTE: The prayer is standard to the design.